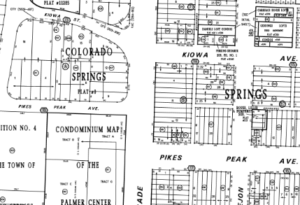 The Assessor's Tax Entity Maps are created using Orders of Inclusion, Orders of Exclusion, Annexation Plats and/or Ordinances recorded with the El Paso County Clerk and Recorder's Office. The intent of the Tax Entity Map series is to show the tax boundary, the general surrounding area, and meet the Division of Local Affairs guidelines for tax entity maps. Areas within an Entity's tax boundary are subject to that Entity's mill levy. Taxing Entities for individual parcels are listed on the Property Record Page for each property.